Apple moving to reshape health care | Lewis & Ellis Inc. While an apple a day keeps the doctor away, the tech giant bearing the same name typically hasn't had a role to play in consumers' health care. The company introduced its Health app a few years ago, but apart from some active features like heart rate monitoring and reporting, consumers might not have given it much use. That could change soon. With the release of its beta-version iOS 11.3, Apple made significant changes to the Health app, the company announced. Within the app, consumers will be able to gain access to their own electronic health records, thanks to a partnership between Apple and a number of major care provider networks. This, in turn, may allow them to more easily view all their records in one place, rather than having to track them down from multiple sources, and potentially use that information to find better options regarding their ongoing care. "Our goal is to help consumers live a better day. We've worked closely with the health community to create an experience everyone has wanted for years - to view medical records easily and securely right on your iPhone," said Jeff Williams, Apple's COO. "By empowering customers to see their overall health, we hope to help consumers better understand their health and help them lead healthier lives." 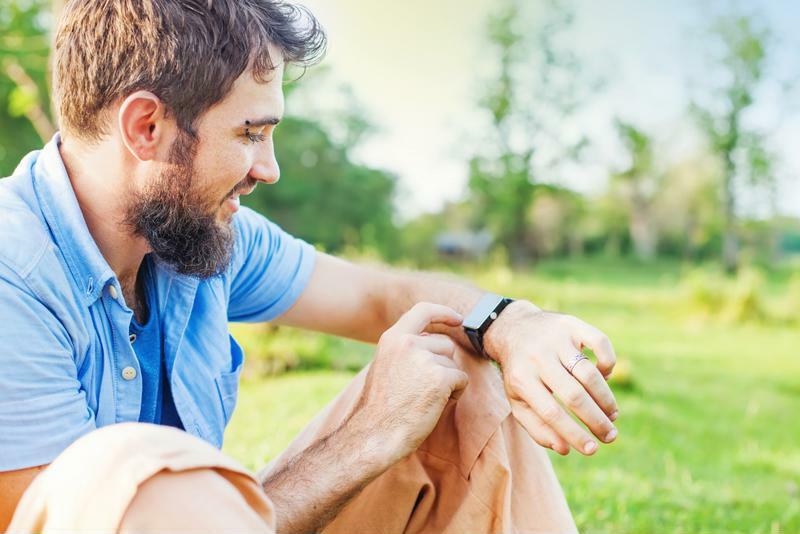 Smart watches could change the future of health care. Apple made these changes in part because it believes that one of the biggest issues in the health care sector, in general, is that there isn't enough transformative change to give people more confidence and control in dealing with their care, according to CNBC. Tim Cook, the company's CEO, recently noted that this is why putting EHRs in consumers' hands was so important to the company, especially as it collaborates with other players in the sector to improve performance across the board. This can be critical because of just how many people and care providers use Apple products in their daily lives, the report said. Apple Watches and iPhones can track consumer health data, which can then be used on iPad and computers at care providers, potentially allowing for seamless integration. Meanwhile, the company is also leveraging data to work with the U.S. Food and Drug Administration to determine how the government can better regulate certain types of health products, the report said. Likewise, it has partnered with a major health insurer to provide discounts for Apple Watches to ensure more people are using the health monitoring capabilities that wearable tech provides. When Apple's decision to launch the EHR portion of its Health app was announced, it was widely hailed as something that could transform the entire health care industry, according to Wired. This is true not only because of what it means for Apple and its ability to connect consumers and care providers, but also because it opens the door for other tech companies to start innovating using up-to-date and accurate health care records. For instance, even if specific care providers are not connected to Apple's pilot program, either now or in the future, they may still be able to benefit from other aspects of the effort, the report said. The tech company currently already aggregates the health data for millions of people using its devices - and does so anonymously - and other companies could theoretically use that data to change health care approaches in certain regions or countries. When care providers and insurers alike get more access to important health data about their patients on an ongoing basis, they may be able to improve treatment methods and identify nascent issues long before they become more significant problems. With this in mind, any adoption efforts to get on the forefront of this data aggregation should be seen as a good idea.